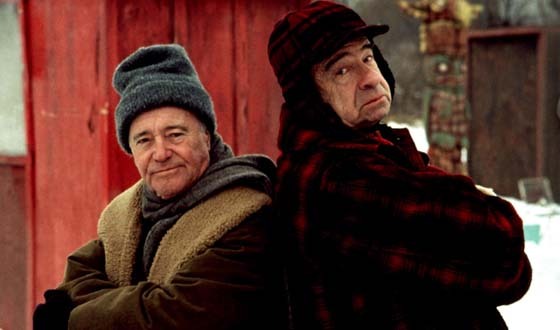 It is easy to forget that Grumpy Old Men (1993) is a Thanksgiving movie; Well, at least one with a memorable Thanksgiving dinner scene. This film, of course as the titles insinuates, centers around grumpy old men and their feuds. Here, you get a winning comedy with legends like Jack Lemmon, Walter Matthau, Burgess Meredith (pictured above), and Ann Margaret in their twilight years. In addition, Ossie Davis, Darryl Hannah, and Kevin Pollack add to a strong cast.